Kettering can trace its origins back to an early Roman British settlement. By the 17th century the town was a centre for the production of woollen cloth but the present town mostly grew up in the 19th century with the development of the boot and shoe industry and the coming of the railway. Rockingham Speedway is an Ideal place to visit for all petrol heads. 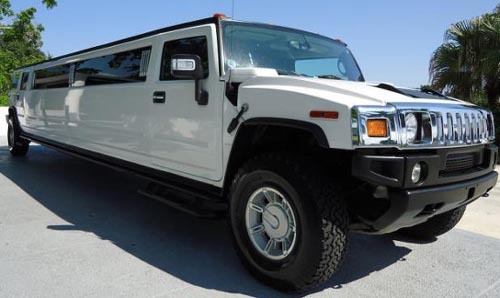 Why not visit the track in one of our 16 Seater Black Hummer Limos. We can also offer six bottles of Champagne for each booking. Looking for airport transfer in our Pink Hummer Limousine, Please call for the best quote 0845 0555 0740 with in the Kettering area. Head down to Wicksteed Park this weekend and you won't be disappointed! With it's many great features and attractions, you won't know where to start as you walk in and find yourself immersed in a world of fantasy and adventure. With the park bursting with exciting rides for all the family, it is split into 4 main areas, those being: The Playground, The Fairground, The Arena and the Lakeside. Every area is different and suitable for all ages, especially those thrill-seekers! Race your mates in the Go-karts or get wet on the Rocky river falls! You'll be stuck for choice inside Wicksteed park so why not take a tour on the famous narrow-gauge railway and explore the whole park in one train ride. Wicksteed park also caters for fishers, offering a beautiful, picturesque lakeside swarming with various fish. Wicksteed Park is truly a place that should be visited by all ages, as it never fails to impress time and time again. So if your looking for a day out of fun then look no further than Wicksteed Park, where the magic happens day in, day out. For those art-lovers out there, the Alfred East Art Gallery is a stunning building, holding host to many famous and creative paintings. Walk around and find out many interesting facts behind the making of the pictures you love, and explore deeper into the history of art through times with pieces dating back to the 1600's. The Alfred East Art Gallery is definitely a place to be visited by the fans of the art, but also provides a great day out for many other people too. With an on-site cafe, serving freshly made food and hot beverages, you can always take a break and relax while you have a bite to eat. Bring the kids along and watch them learn and enjoy how the art presented has been made, and even watch them make their own! The Alfred East Art Gallery is bursting with culture and creativeness, so for a day out with a difference, head down and see what you can learn, maybe you'll be more astonished than you might think! Rainy day? Kid's bored out of their heads? Bring them down to Kid's Kingdom to discover a new and exciting world of kid's entertainment. With a 4 story play area and much, much more, they'll be begging you not to leave! Kid's Kingdom boasts 15,000 square feet of fun and adventure, fully indoor and air-conditioned, the play house contains many rides, trampolines, a climbing wall and 4 levels of great, playful mayhem! Adults can sit down and watch their kid's whilst the cafe is serving hot beverages and freshly made snacks. Why not book the ultimate party at Kid's Kingdom and treat you kid to the best birthday yet! There's so much to do inside Kid's Kingdom that they'll never, ever want to leave, and with prices at £5.50 for children and 75p for adults, Kid's Kingdom is an unmissable day out for all the kids. For all the adults looking for the perfect playground, look no further than Club Rehab, the most exciting and lively way to wind down your hard-working week. With 2 rooms bursting fresh new music out, and 2 other rooms for the more chilled out ravers, Club Rehab is a must for any party-goer or dance-lover. Head down into the Ice Bar and prepare to be chilled to the max with it's unique LED lighting and icy atmosphere. Get the party started in the Candy Bar as you move those feet until 3am in the morning or head to the Roof Garden and relax and take a break from the raving, mental rooms below. Your always guaranteed a great night out in Club Rehab so head down this weekend to experience a night full of fun, laughs and music. To the north of Northamptonshire but still right at the very heart of what makes this county so special is the major town of Kettering. Steeped in a vast and rich series of culture and history, Kettering has some of the best features of both historical note and entertainment to offer to you on your visits and travels around the county of Northamptonshire. For instance, why not take a trip to Wicksteed Park for truly fantastical and fun-filled family day out. Available at this charming little corner of Kettering is all manner of quaint little rides and amusements. Opened way back in 1921, Wicksteed Park is believed to be one of the oldest amusement parks in the UKs history. With such a prestigious and colourful background as this, you cannot deny the experience of travelling to this place and witnessing the rich and deep tapestry of prestige for yourself. And why not do history and yourself a justice by transporting you and your whole family out for the day in one of our pink, white or black hummer limos. Imagine the comfort you can experience relaxing and bonding with your friends and family you have invited along for the ride whilst making use of the many exquisite features’ that are available in our stretch and black Hummer Limos, such as; champagne waiting for you in a bucket of ice, a state-of-the-art audio system and a phenomenal laser lighting system. Or for the Stag and Hen partys that may be holding a function in Kettering, how about hiring a prestigious Party Bus, a vehicle exclusive to customers here a Lux Limos. Imagine if you will, the sheer thrill and excitement of being able to actually stand up and dance in one of these mammoth vehicles. It is a sure fire way to get the party started and help unleash the wild side that is within us all and just waiting to be unleashed. Wherever you decide to visit in this modern town, allow yourself to be indulged in hiring one of our stretch or black Hummer limousines to enhance and accentuate you visit because, after all, travelling by limousine is the height of excellence and you will be travelling in a style which you thoroughly deserve and which is a price that is cheap and competitive and better than most of our competition. Remember to choose us at Lux Limos where premium quality of service is a RIGHT and not a privilege to you. Kettering Hummer Limo Hire – Get yourself the UK's largest limo right now in Kettering! Kettering Prestige Limo Hire - You now have the choice to hire Bentley Flying Spur or Rolls Royce Phantom..
Kettering Hen Night Limo Hire - Travel in style in a pink limo on your hen night in the limo bus. Kettering Cheap Limo Hire - Cheap cheap limo hire in Kettering. Kettering Birthday Limo Hire - Hire a hummer limo for your birthday in Kettering. Kettering 24 Hour Limo Hire - Call us any time of the day and we will get you limo out ASAP. Kettering Pink Limo Hire - Hire a hot pink limo. Kettering School Prom Limo Hire - Travel to your school prom in a luxury limo or bentley car hire. Kettering Stag Night Limo Hire - Hire a black hummer for your stag night. Kettering Graduation Limo Hire - Travel to your graduation in style in a limo. Kettering Black Limo Hire - Black limo hire in Kettering is very popular. Kettering Airport Transfer Limo Hire - All airport transfer bookings now come with free drinks in the rolls royce phantom. Kettering Bentley Wedding Car Hire - Kettering Fully loaded Bentley Flying Spur. Kettering Rolls Royce Ghost Wedding Car Hire - Book the Rolls Royce Ghost in Kettering. Kettering Rolls Royce Phantom Wedding Car Hire - Pure White Rolls Royce Phantom Wedding Car. Kettering Wedding Car Hire - Baby Bentley to Bentley Cars book now. 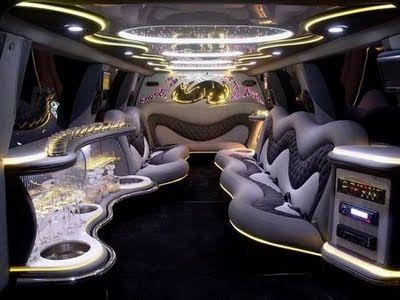 We have the best Limos in Kettering from Limo Bus, Rolls Royce Phantom to Hummer.